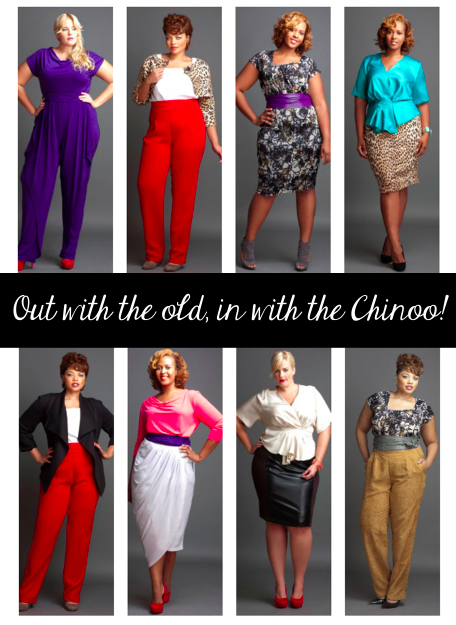 Early last week I featured designer Chinoo on a blog post. I was wearing a Jersey Cowl Neck Blouse with Cap Sleeves, $44, Sizes L-3X in purple and the Jersey Skirt with Pleated Overlay, $89, Sizes L-3X in pink. So today I’m featuring the other Chinoo pieces that I also had changed into while shooting the pics. Chinoo had this jumpsuit on their website that I was really feeling so I got that sent to me. Just like the first outfit that I wore, once I got the jumpsuit in hand, I realized that it too was interchangeable. It is not a one-piece but instead a cap-sleeve blouse such as the previous one that I wore, a belt and a pair of Jersey Pants with pleated overlay flounce, (L-3X), $96. That was right up my alley. 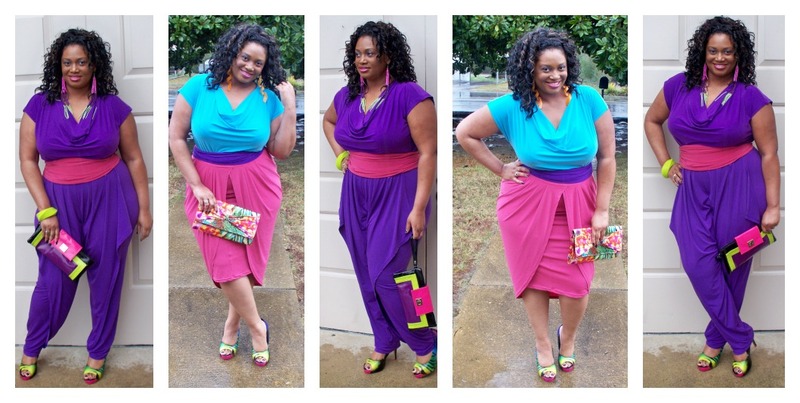 I quickly swapped out the purple belt and added the pink belt to create yet another color-blocking ensemble.